The publication 'CONSTANT. 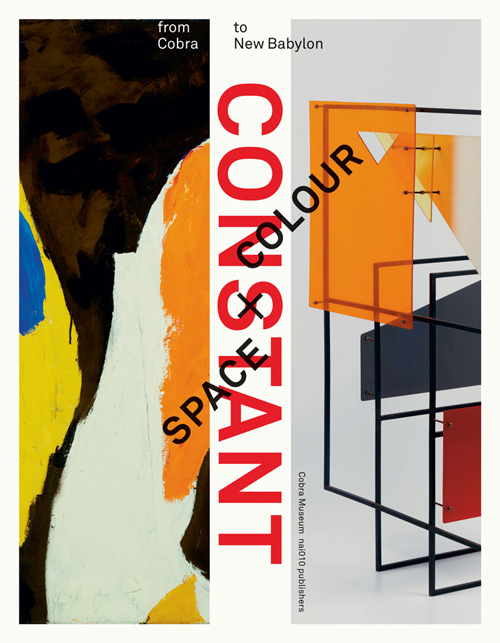 Space + Colour. 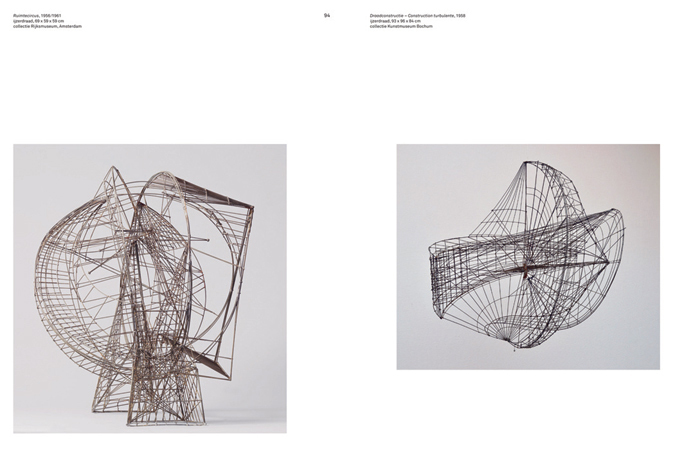 From Cobra to New Babylon' appears to coincide with the exhibition ‘Constant. 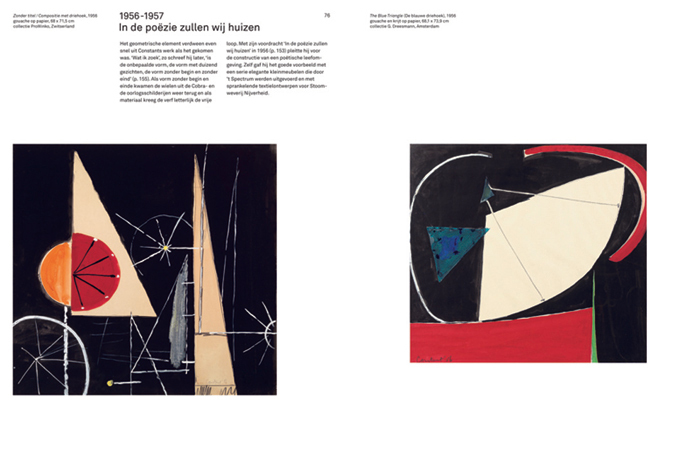 Space + Colour’, Cobra Museum of Modern Art, Amstelveen, 28 May - 25 September 2016. 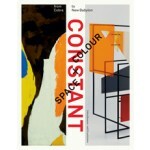 The exhibition ‘Constant - New Babylon. ‘To Us, Liberty’ is hosted concurrently in the Gemeentemuseum Den Haag. Constant Nieuwenhuys (1920-2005) is primarily known as the co-founder of the international Cobra group and as the initiator and maker of the New Babylon project. 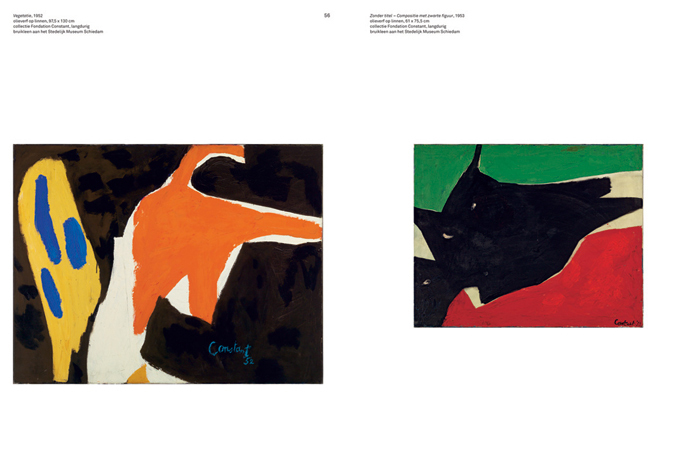 This publication sheds light, for the first time, on a third influential period in his artistic practice, during which he made the journey from Cobra to New Babylon, continually reinventing himself along the way. During the 1950s Constant was searching for new means to contribute, as an artist, to the reconstruction of society in the wake of the devastation of the Second World War. Significant developments in urbanism and technology were reflected in his work. In the spatial effect that colours produce, Constant saw possibilities for an intensive collaboration between visual artists and architects. His ideal was a fusion of different disciplines into a new art form that would address the human living environment (habitat) as a whole. He explored new spheres of activity and media and attempted to redefine his position as artist by regularly making alliances with other artists and designers. Together with Gerrit Rietveld he worked on the model interior for the manifestation ‘Colour Harmony in your Home’ in the Bijenkorf department store in 1954. 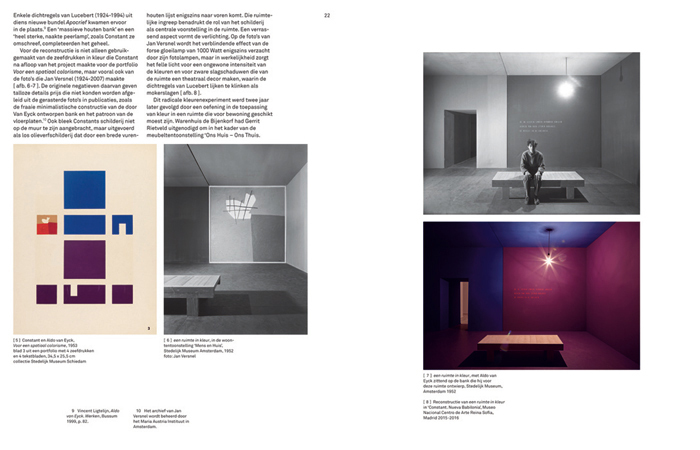 Earlier, working with Aldo van Eyck, Constant contributed to ‘a space in colour’ developed for the ‘Man and home’ exhibition in the Stedelijk Museum Amsterdam in 1952. Together with the American experimental film-maker Hy Hirsh, Constant made the film Gyromorphosis (1958), which was part of his first solo exhibition in the Stedelijk Museum Amsterdam in 1959.